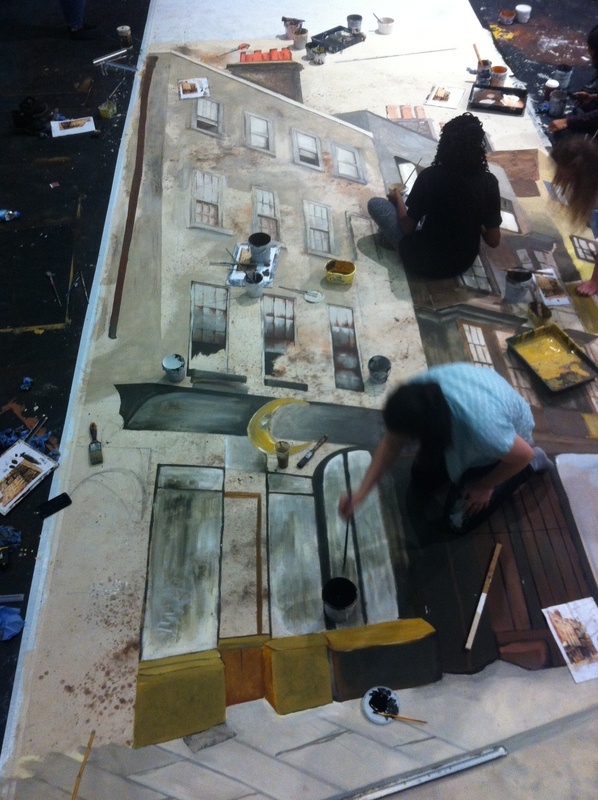 For the second half of skills week, we divided into groups; one half painting a map scene onto wood, and the other half painting a street scene onto a large canvas. I was part of the group painting onto the canvas which I was quite happy about as it looked more challenging and involved more techniques like shading. 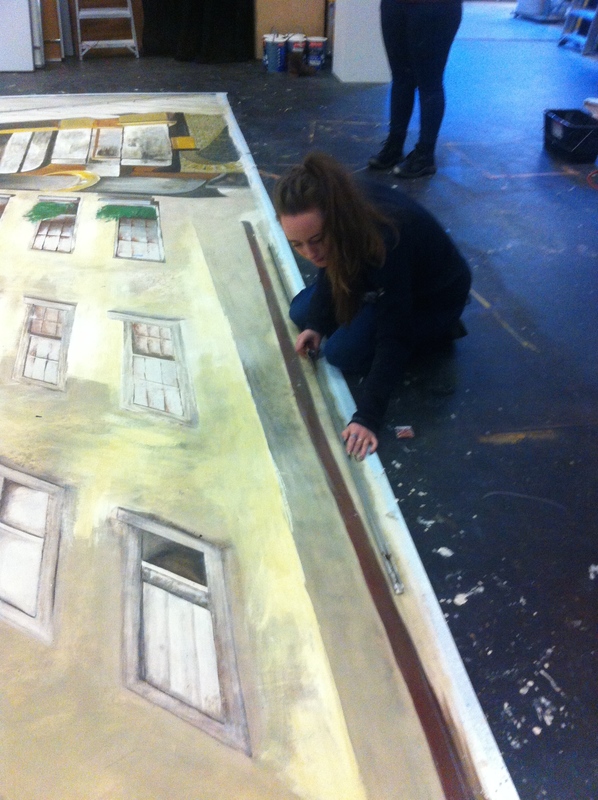 Firstly, we had to prime the canvas with a white paint to make sure when we painted the actual scene onto it, we would get accurate colours. After the white primer, we watered down some browns and splashed layers of that over the white to create an interesting surface to work with. 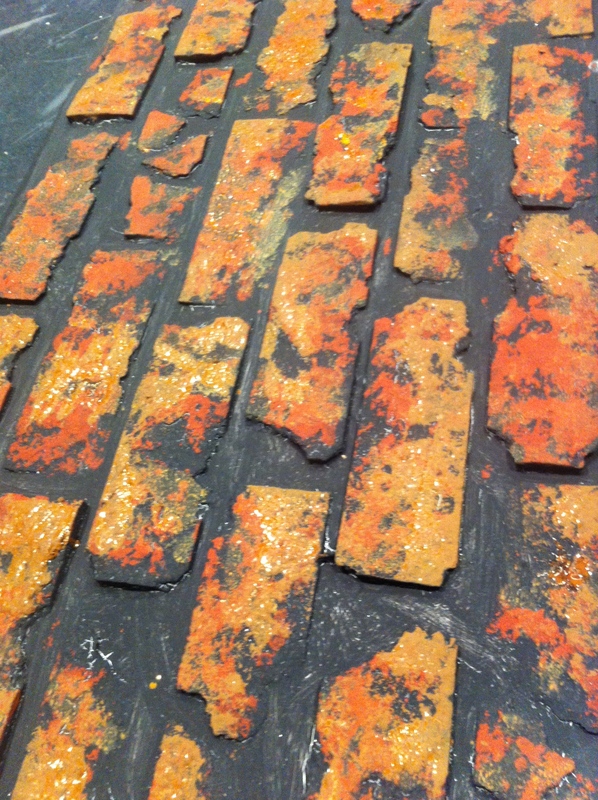 The pigments within the paint separated with the water, creating unusual blends of browns and oranges. Once this has dried, we were able to begin dividing the canvas into equal squares, which we then did to our reference image too, which was to scale. We used ‘snap tape’ to draw long, straight, parallel lines. 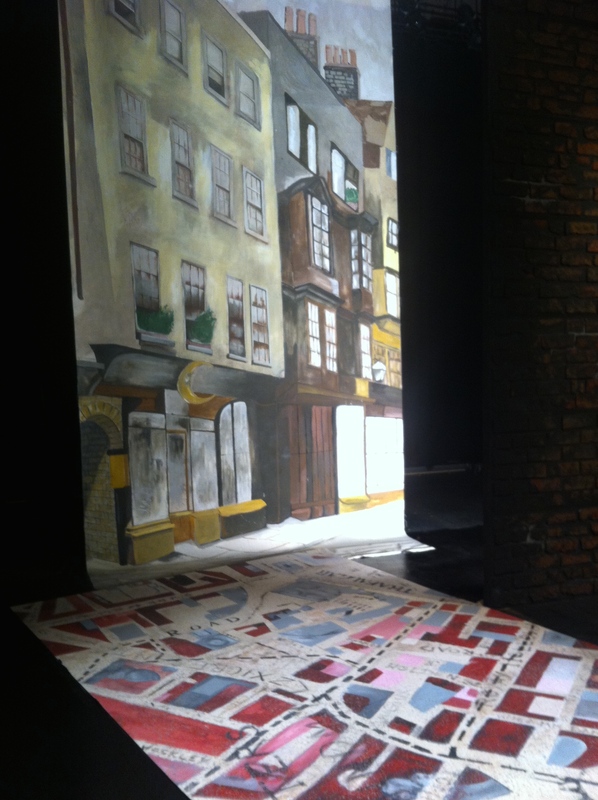 Once the canvas had been divided up we were able to draw the actual design onto the canvas, square by square. 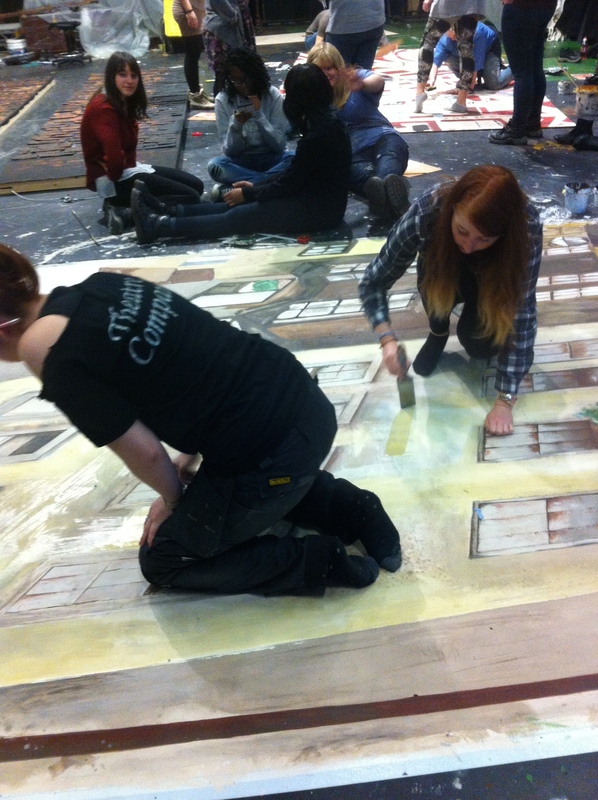 We were all allocated a square and got to work trying to recreate the scene. I personally found mixing the colours accurately quite difficult, and needed help from Sandra at times. It was also helpful to share colours with people on connected squares, otherwise there would be a noticeable difference where the lines joined up and this would have looked very unprofessional. Once we had finished I was actually very proud of what we had achieved and even though there were things that could have been improved, it was all part of the learning experience. ‘The Thrill of Love’ is a play by Amanda Whittington, revolving around the life of Ruth Ellis and her trial for the murder of her lover David Blakeley. 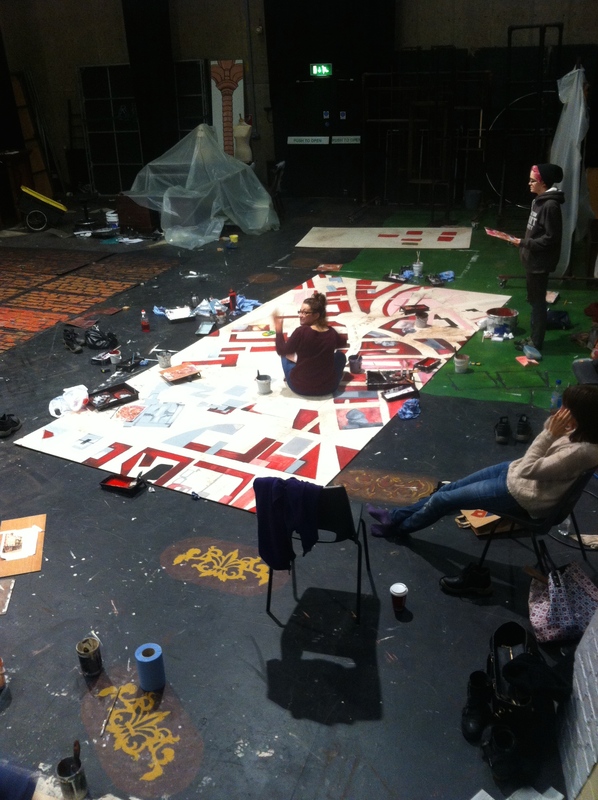 For the first half of this term we are creating a speculative design for the play involving set, costume, props and lighting. 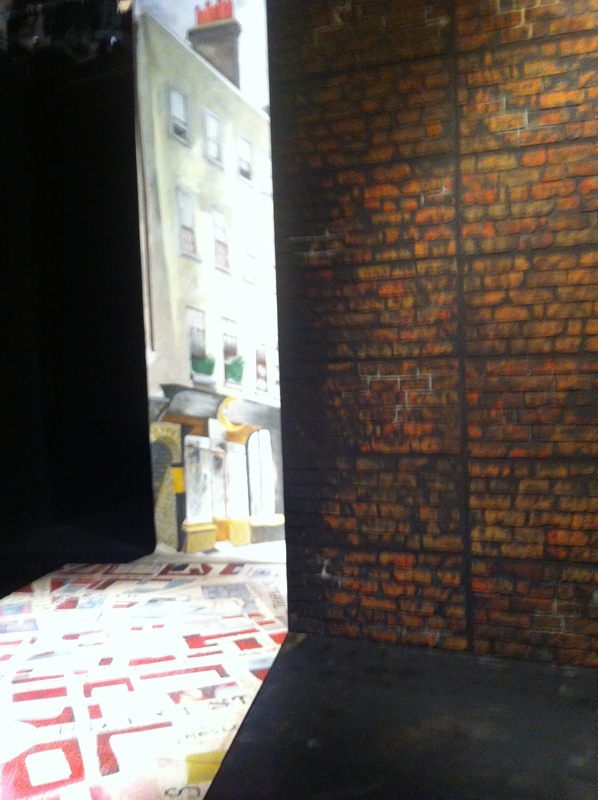 The brief describes the project as ‘The Principles and Fundamentals of Set Design and Construction’. We had the valuable opportunity to meet the author, Amanda Whittington, and receive feedback on why she wrote the play the way she did and her opinions on Ruth Ellis herself. She also provided us with some newspaper cutouts and photocopies of letters Ruth Ellis wrote during her time in Holloway Prison. These were interesting however slightly chilling and made us realise that because the story is actually based on real life, we should approach the project in a respectful yet creative way. 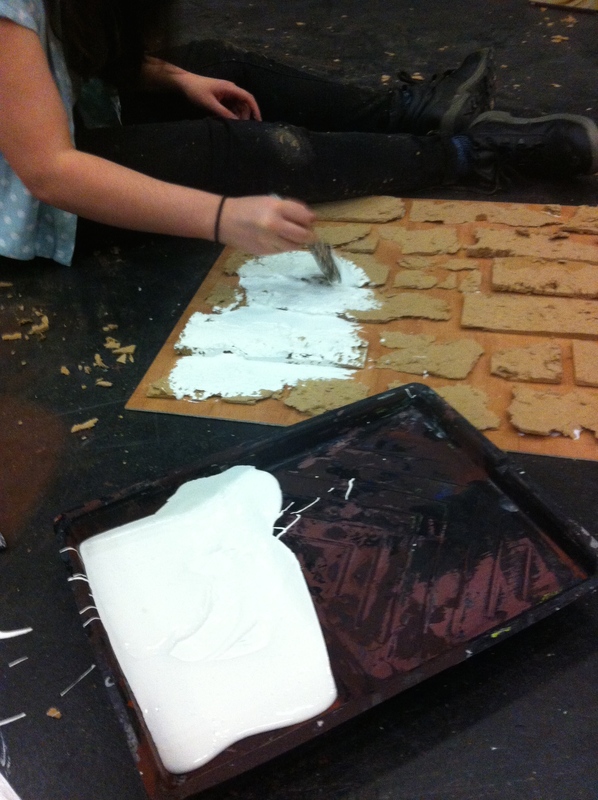 For the first part of skills week we looked at creating a brick wall to an effective and professional standard. 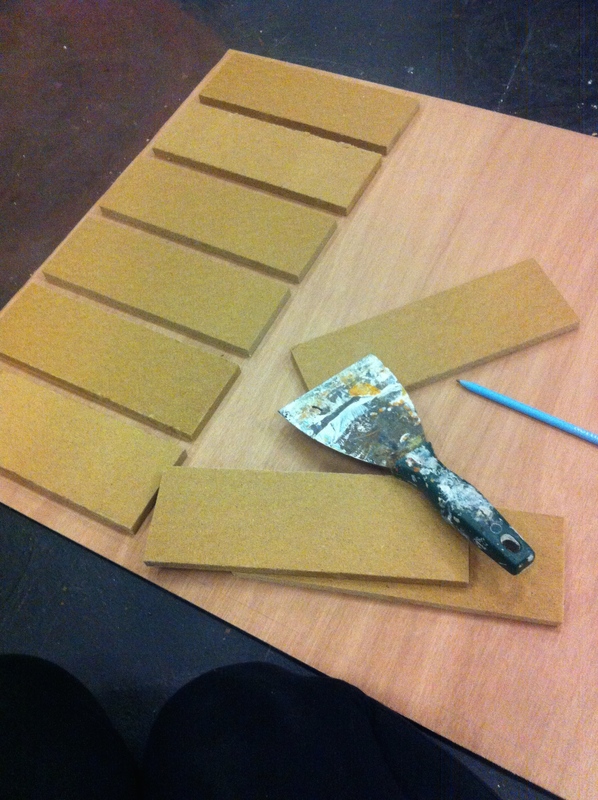 This involved cutting and shaping MDF pieces which we then attached to a board. 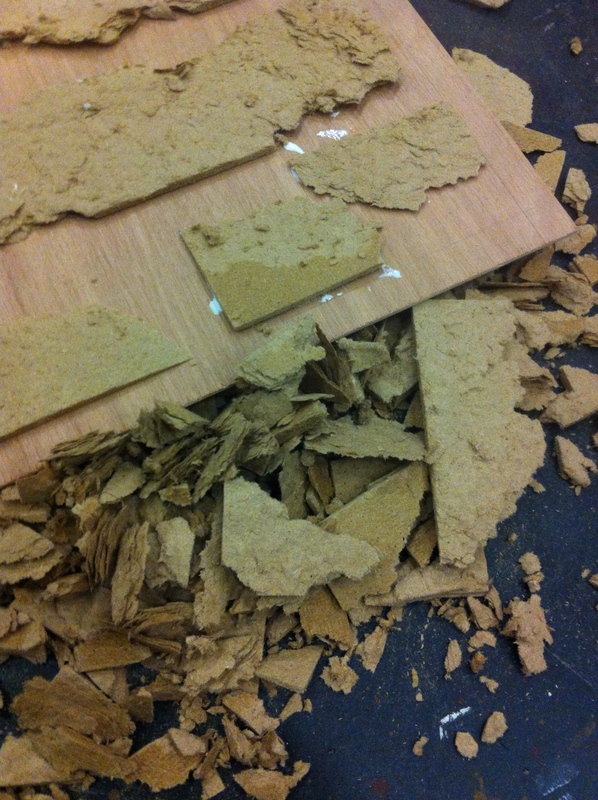 By breaking off pieces and corners of the MDF slabs we could create a realistic approach. 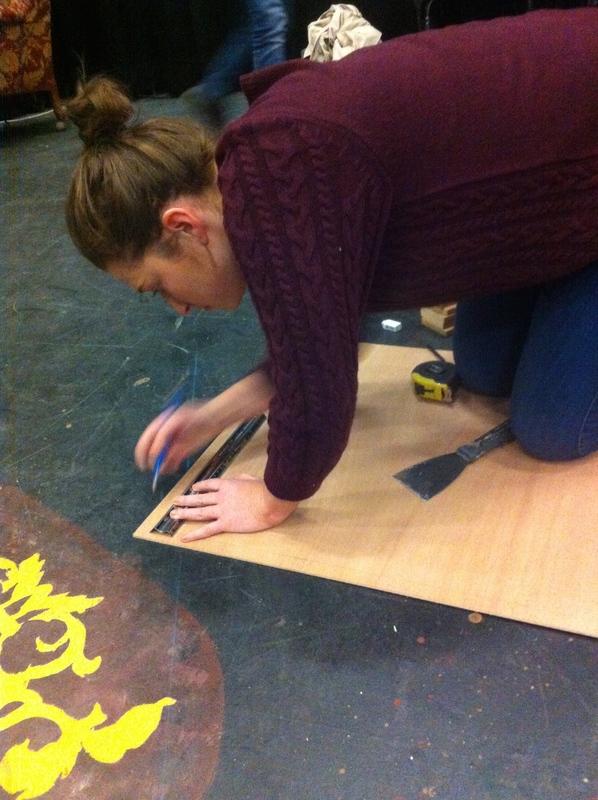 Once the pieces were stuck down we painted the entire board black for consistency. 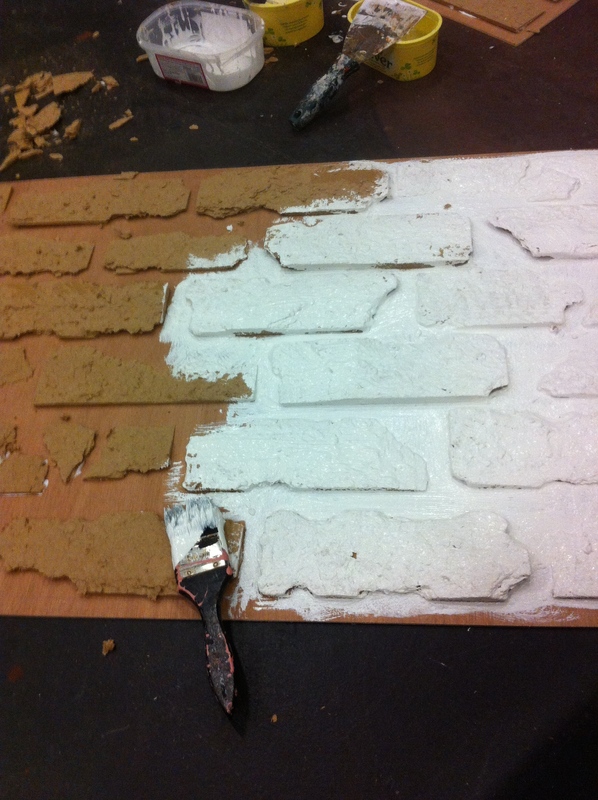 We then mixed three shades of brown, red and orange and applied it to the bricks to give it the correct colour. 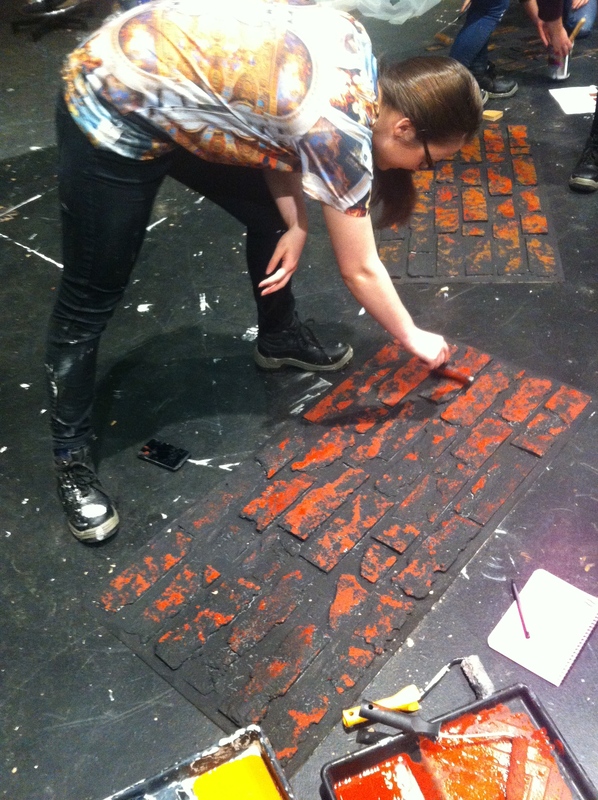 By sponging small amounts of black onto it we could create the grimy effect we were aiming for. The final touch was to add some highlights into the grooves and allowed to dry.